…biblical in its proportions, with a revolving Episcopal pulpit, a moonshine swilling postmaster, and a murdering villain. Martha, Mary Magdalene, John the Baptist, Satan and Jesus are key figures in this 1950s suspense allegory of Christ’s beginning ministry. Although I’ve known of Michael Thompson for many years, when he was running his own advertising agency here in Memphis, we didn’t really meet until a few months ago when he joined the informal Memphis writers’ group that I formed. The Parchman Preacher isn’t his first book. 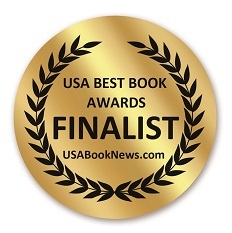 He has also published David—the Illustrated Novel, and his Christian sci-fi thriller, JALA (water in Hindu,) about a future without clean water, has been serialized in a local magazine. Michael at the Memphis Library’s 2013 Bookstock! I had a great time in October when Michael and I ended up at adjacent tables at the Memphis Library’s annual Bookstock! event for local authors. 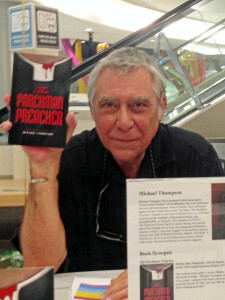 He gave me an inscribed copy of The Parchman Preacher, which I took home and enjoyed immediately. If you’re in the Memphis area, come meet Michael and hear him read at The Booksellers at Laurelwood this Sunday at 1 p.m. (The Laurelwood site said 2 p.m. earlier, but even if it hasn’t been changed, the reading is at 1 p.m.) I’m meeting up with a bunch of folks from our Memphis writers’ group for lunch at The Bistro at noon, and then we’ll be cheering for Michael during his reading at 1. 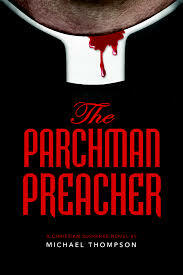 The Parchman Preacher would make a great Christmas gift for the book lovers on your list! (You can also get the eBook for $4.99 here.) For a free sample, download the Prologue and first chapter here.